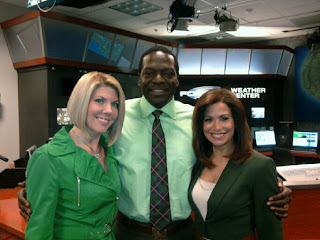 Isiah Factor | The Insite » CELEBRATING THE BIG DAY OF GREEN! CELEBRATING THE BIG DAY OF GREEN! March 17, 2010 | Posted in Uncategorized | Comments Off on CELEBRATING THE BIG DAY OF GREEN! ST. PATRICK’S DAY IS IN FULL SWING! Are you celebrating St. Patrick’s day? I thought I was all alone at FOX 26 with all of this foolish green on…but then I found two coworkers in the spirit just like the Insite. Thanks Kristi Powers and Sibila Vargas for getting into the spirit like me. Are you celebrating St. Patrick’s Day this year?Please let the Insite know and how!